On 26 November 2017, ERGO Network’s member organisations came together for ERGO’s Annual Members Meeting. 45 participants from 25 member organisations joined the ERGO Board and Secretariat in Brussels for a day full of discussions and networking. After being updated on the highlights of ERGO’s work in 2017, the members shared the achievements of their national and local organisations, showing the wealth of expertise that ERGO Network assembles through its membership. This expertise also became evident in a membership survey that ERGO has conducted in the past months and that has been presented by the secretariat, giving everyone a better oversight over the diversity within ERGO. To follow up on this membership survey, the ERGO board set up a working group that will establish clearer criteria for membership in ERGO Network as well as propose reforms to the process of joining the network in the coming months. Finally, the Annual Members Meeting was also an opportunity to plan common initiatives. During the ‘Open Space of Cooperation’, the participants discussed project proposals or used the time to share their experiences in specific working areas. One working group for example planned a European youth project on online hate speech, whereas another one discussed the current statutes of ERGO and reflected on possible constitutional reforms. 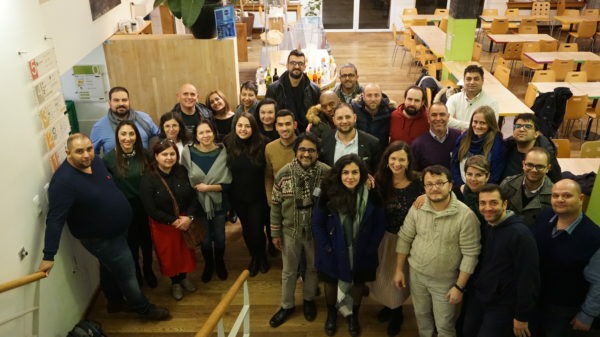 The following day, all members were invited to ERGO’s public event ‘Investing in our future: what work(s) for young Roma’, with some of them contributing as speakers to present promising examples of Roma youth employment and empowerment from their own work. We thank every one of our members for contributing to the meetings and for all their input and engagement throughout the whole year.